Two coats of Prabal Gurung Sally Hansen Complete Salon Manicure in Loden Green. Olive Green Creme. Back in fall 2013, when this was released as a Limited Edition shade for the Fashion Designer series, I literally hunted a bottle down - then forgot to use it. So ridiculous, right? I know. Anyway, I uncovered it a few weeks back and I am in love. Loden Green is the perfect representation of the military trend that seems to appear on the runway every. single. year; thus, it will forever be in style. 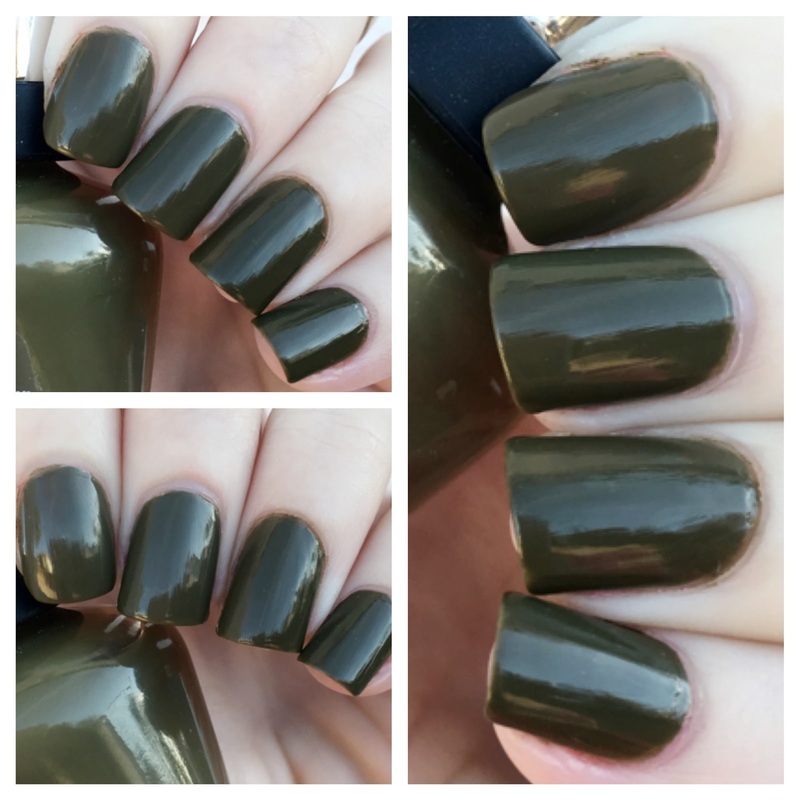 Though rich and creamy in color, Loden Green was a bit patchy during application, and definitely required two thick coats for full-coverage. So dark and dramatic! Love it! Awesome! Love this dark color! I'm afraid I'm still in Christmas red here. I so love this trend. Definitely would try it! I love how dark it is, yet still has the distinct green color! I love this colour. It has such a perfect gothic vibe to it. Ooohhh...I like this! Definitely a new sort of neutral! I've been feeling post-Christmas glum so now I think I should go paint my nails to cheer myself up. That's great you re-discovered this one for this year. Definitely a good military green.